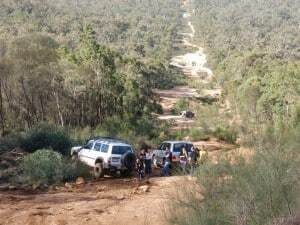 The Mundaring Powerlines Track is a four wheel drive track found east of Perth. It is one of the few tracks that is well known about, close to Perth and that has not been closed off. Mundaring is a short drive (34km) east of Perth, and the track starts only a few kilometres from there. It is regularly used by tour operators who are training people to drive a car off-road. It was originally a service track for Western Power’s power poles, and still gets used by them today! There is a lot of gravel, sand, rocks, hills, descents and a heap of mud in winter. 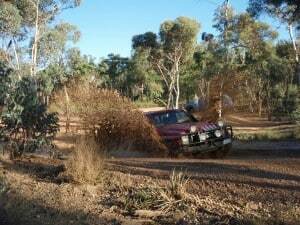 If you haven’t done much four wheel driving before, then Mundaring is a great place to start. The trick is to that you take it slow, and preferably go with someone who is a little more experienced. In many ways, it is like Dwellingup in terms of the tracks available. The whole track can be done in about 3 hours, but its a good idea to leave the bulk of a day to do it, because its likely to take longer if things don’t go to plan. Driving on a beach like Lancelin is good fun, but there is something about doing tracks that go through the bush with hard surfaces, big rocks and mud that makes Mundaring so appealing. On a long weekend, it’s not uncommon to see a few hundred cars on the track in a single day. Everyone is friendly and usually willing to pull you out if you get stuck! The track can be extremely challenging in some places, so just choose what you are comfortable with. There are ‘chicken’ tracks which go around most of the difficult parts. Camping is permitted, but find out where before you go there! How do I get to Mundaring? To get to Mundaring, you just need to follow the Great Eastern Highway. We normally go along Roe Highway onto the Great Eastern Hwy, but it really depends on where you are coming from. There are quite a few hills to go up and down, but eventually you will end up at a set of lights with Hungry Jacks on the right and KFC on the left. Where does the track start? There are a large number of entrances onto the Mundaring Powerlines Track, but the normal starting point is just south east of Mundaring. When you see the fast foods, turn right onto Hodgson Street, Mundaring. Follow that, and turn right at the end, onto Mundaring Weir Road. On the left, just after Mcallum road, the track starts. You can follow that, and then turn left along the water pipes. Alternatively you can drive further out of Mundaring and drive the other way on the track, but it’s not as much fun! Can you do the Powerlines track backwards? Of course, and many people choose to do this. There are even gravel roads which run through the middle of the track, which is why so many people start the track in the middle. Flynn road is one those. 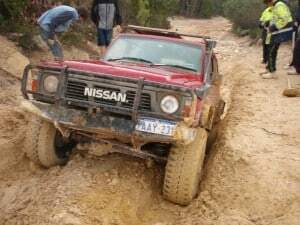 Many people come across the Mundaring 4×4 track by accident, but there are a huge number of people who know it exists and use it regularly. Doing the track backwards is easier in my opinion, just because of the hill climbs and the way it has formed over the last few years. 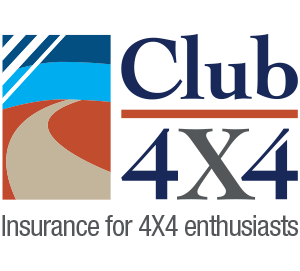 How hard is the Mundaring 4×4 track? About 3 years ago now was the first time I went on this track. It was challenging, but doable by most four wheel drives. I have been many times since, and every time I go it has changed in some way or another, and quite often dramatically. If it’s wet and muddy, even those in highly modified cars with years of experience find it difficult in some places. The tracks get chopped up badly, and the hill climbs become very difficult. Even the chicken tracks get washed out, rutted and difficult to drive along. The difficulty level really depends on the car you are driving, time of year and how much four wheel driving you have done before. I would suggest to novices with stock cars that winter is usually not a good time to learn. Some water crossings that you have no choice but to drive through can be over the bonnet. In summer however, the track is much easier. Although it is dusty, it’s more solid to get grip on. I have seen brand new Suzuki’s with almost no clearance drive the whole track, but it comes down to how you do it. Normal cheap four wheel drive tyres (not chunky ones) seem to handle acceptably in summer, but a more aggressive tyre will make it so much easier. 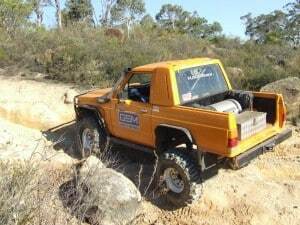 I have been very glad of the set of Maxxis Bighorn tyres on My Hilux! We certainly cannot argue with you here Andrew!